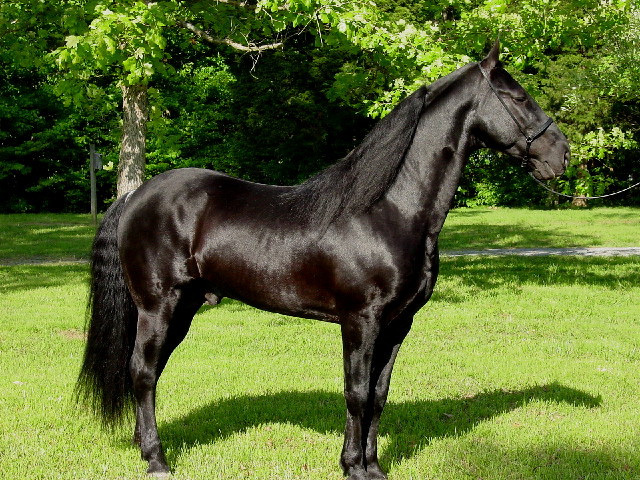 Many other states have adopted horses as official state symbols: Morgan horse (Vermont and Massachusetts); racking horse (Alabama); Appaloosa (Idaho); thoroughbred (Kentucky and Maryland); Nokota horse (North Dakota); Missouri fox trotting horse (Missouri): Colonial Spanish mustang (North Carolina); Florida cracker horse (Florida); "the horse" (New Jersey); marsh tacky (South Carolina); and American Quarter horse (Texas). Horse symbols have been proposed for Oregon (Kiger mustang), and Arizona (Colonial Spanish horse), but have not yet been adopted. Tennessee walkers are one of the smoothest riding horses in the world. They have three smooth, natural gaits: the flat-foot walk, the running walk, and the canter. Also known for sure footing and calm temperament, the Tennessee walking horse is the first breed of horse to bear a state name. Tennessee walkers were developed by farmers in the Tennessee bluegrass region combining the genes of thoroughbreds, Canadian pacers, saddlebreds, Morgans, American standardbreds, and Narranganett pacers. Tennessee walking horses come in all colors and patterns - black, bay, chestnut, palomino, buckskin roan and spotted patterns. 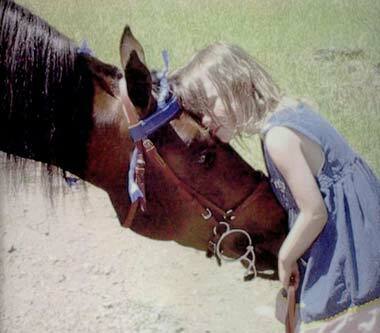 Quote from Gaited Horses: "A Tennessee Walking Horse will nod its head in rhythm with the cadence of its feet. Walking Horses are born with the ability to do other gaits in addition to the running walk. Some of these gaits are the rack, pace, foxtrot, stepping pace, single-foot and other variations of the famous running walk. The Tennessee Walking Horse is also famous for their "rocking chair" canter, which is a collected gallop. The canter is performed in much the same way as other breeds, but the walking horse seems to have a more relaxed way of performing this gait." Excerpt from International Museum of the Horse: "...the Tennessee walker gained wide popularity for its ease of gait and ability to stride faultlessly over hills and ...valleys of the rocky middle Tennessee terrain...used as a utility animal for all type of farm work, as well as family transportation and recreation, the old plantation-type horse was not trained for showing in those days -- its gait was naturally inherited..."
Tennessee walker stallion and friend; photo © Parker Stables (all rights reserved; used by permission).